Midday Veil. It still amazes me how apt that name is for this fantastic band. Like a shroud of mystery or like floating in the great beyond, Midday Veil will take you to another place; perhaps even to another reality. Their music is otherworldly, promising something fascinating in its complexity for the listener that will give it time. Further, their music is unlike any I’ve heard. I first discovered this group with their previous release “The Current” in 2013. This Seattle-based band continues that city’s reputation for excellence and heart in music, and “The Current” made that obvious to me. From post-rock muses to straight up catchy songs, it was a phenomenal record. 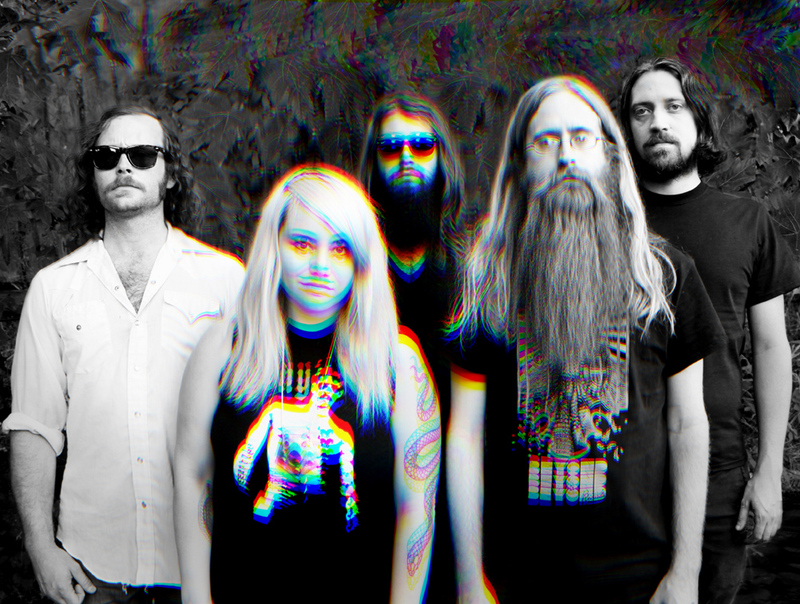 Fast forward to 2015, and the band is releasing an album that sounds somewhat different. “This Wilderness” releases on September 11th, and features seven tracks that transport you to a state of questions and mysteries. Living up to their previous album, “This Wilderness” deserves a look by any music fan. 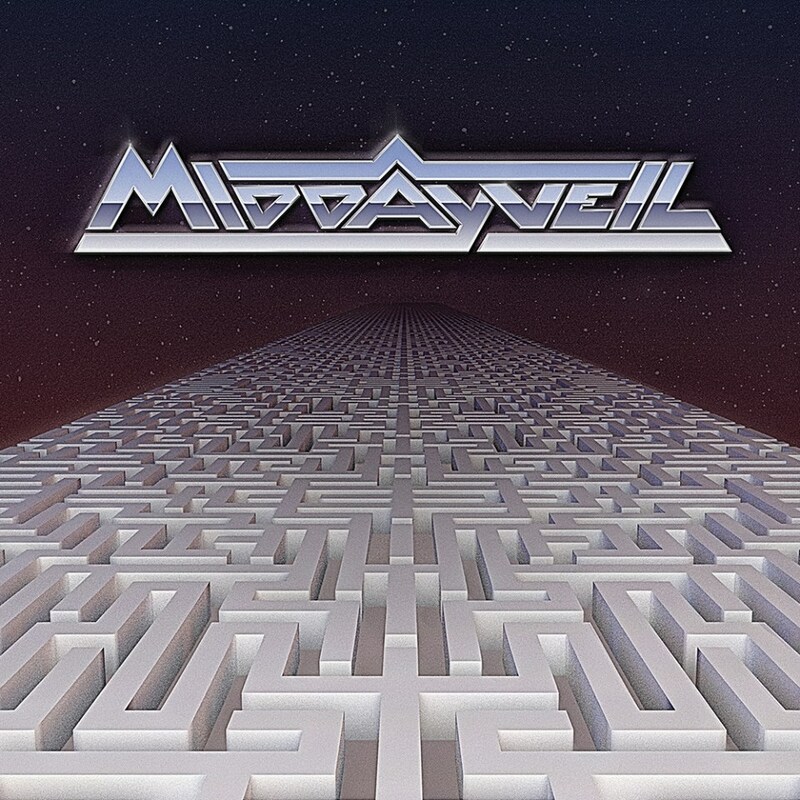 Midday Veil describes their own music as “cosmic synth rock”. That sounds about right, as long as the term “rock” isn’t misunderstood. Really, the band sounds electronic, and the music is filled with space, aura, and wonder. Add in futuristic sound effects, catchy hooks, and a variety of rock elements, and you’ll start to get the picture. This album, then, won’t rock your socks off, but it will put you in a musical trance. Right now, the band consists of Emily Pothast, David Golightly, Timm Mason, Jayson Kochan, Garrett Moore, and Sam Yoder. Working together in complete unity, Midday Veil brings a synthetic, spacey sound that will speak to your nervous system. Emily’s vocals, too, are something special. She doesn’t quite sound like your average female vocalist, and she’s not afraid to try haunting, melancholy tones that accent the music. Yet, she can nail a hook like no one’s business. Compared to “The Current”, “This Wilderness” sounds distinctly more cosmic to me. Songs like “Empire No More” and “Circle” sound like I’m floating above the celestial sphere, minding my thoughts and pining about existence. Of course, the sci-fi fan in me sees the beautiful cover art and I automatically think Star Wars. So, perhaps I’m floating about the Death Star? Who knows. All I know is that Midday Veil makes me feel as if gravity no longer rules my body. Favorites tracks for me are “Circle” with its wonderful tone and great underpinning melody, “Empire No More”, and the very distinct single “Babel”. All the tracks on this album, while using the same tones, have varying personalities. “Universes”, for example, is a quiet, personal piece driven by fragile percussion. Or “The Water” is all about texture and flow. Each song, then, is its own thing. I’m so glad that bands like Midday Veil exist. I’m even happier that they are getting a pretty big US tour in the Fall, too. “This Wilderness” is a shame to miss, so be sure to seek it out and get lost in the synth, tones, and ethereal vibe. I wanted too write a little comment to support you.